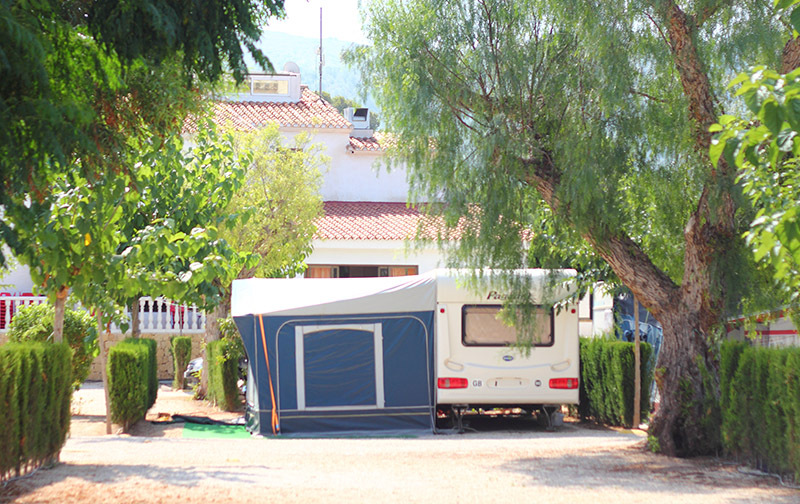 60 m² plots with gravel or earth floor, surrounded by hedges and equipped with power sockets and water connection. Suitable for tents, camper vans and medium-sized caravans. Each plot has space to park a car in the covered parking area. Small dogs are allowed (non-dangerous breeds and weighing less than 15Kg), but must always be kept on a lead. Exceptional permanent accommodation, fully equipped (sheets, towels, crockery, cutlery) with minimum capacity for 2 people and a maximum of 7. 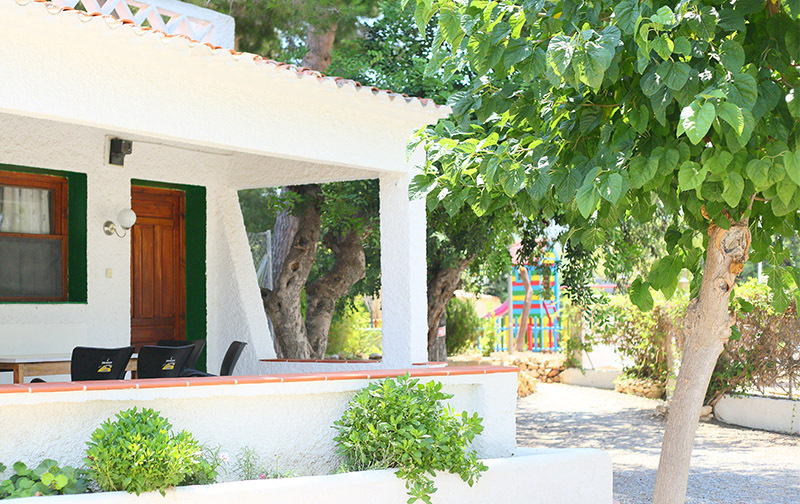 The bungalows are equipped with a bathroom with a shower, a fully equipped kitchen, a living-dining room, porch-terrace with a table outside for having breakfast al fresco and a parking space next to the bungalow. All the bungalows are equipped with heating, air conditioning and optional wi-fi (ask about rates at reception). Animals not allowed.